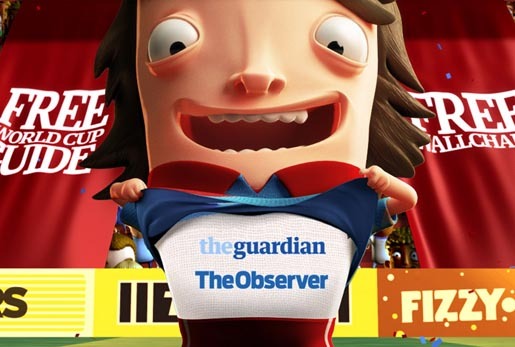 The Guardian and The Observer in the UK are running a television and print advertising campaign to promote their World Cup guides, wall-charts, match day programmes, daily podcasts, minute-by-minute match reports and 32 sports bloggers from every competing nation around the world at www.guardian.co.uk/football/worldcup2010. 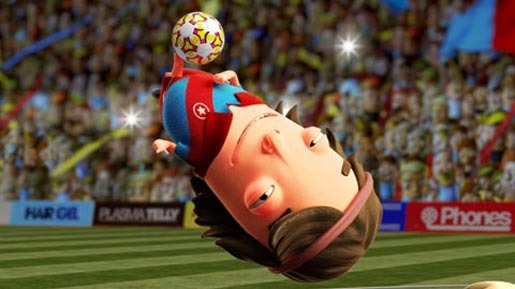 The television campaign features an inspired striker who scores a bizarre but impressive goal with his bum. The goal has such an impact on fans that it becomes a worldwide headline in a matter of minutes thanks to The Guardian. The campaign is also being expressed in digital escalator panels and online activity. The Guardian campaign was developed at Wieden+Kennedy London by creative team Ben Terrett, Rob Burleigh and David Stevens and agency producer Gill Oglethrope. Animation was created at Peppermelon, Buenos Aires, by director/editor Tomas Garcia, executive producer/assistant director/editor/compositor Fernando Sarmiento, producer Ignacio Godoy, animation director/character rigging/particle systems/animator/ Martin Dasnoy, art director/character designer/texture artist Juan Molinet, character expression designer/windows backgrounds/storyboard artist Leo Antolini, coordinators Sabrina Segu and Agostina Brocco, textures and lighting/background artist Javier Tommasi, texture artist/designer/illustrator Eloy Krioka, animator/modeling and unwrapping/cloth reactions Franco Carlesimo, render supervisor/modeling and unwrapping/background artist Leo Muchenik, background artist/modeling and unwrapping/animator Julio Velazquez, boardomatics/crowds/compositor Santiago Caffarena, junior assistant Ayax Bader, character sculptor Federico Ben Cosentino, compositor Federico Ben Cosentino, and creative assistant Guido Antonucci. Print advertising was produced by Julio Velazquez, Santiago Caffarena, with producer Ignacio Godoy. See behind the scenes at Peppermelon. Executive Producers for Stink were Daniel Bergman, Dan Scott-Croxford and Anna Smith, with producer Elin Tiberg. Sound was designed at Wave Studios. 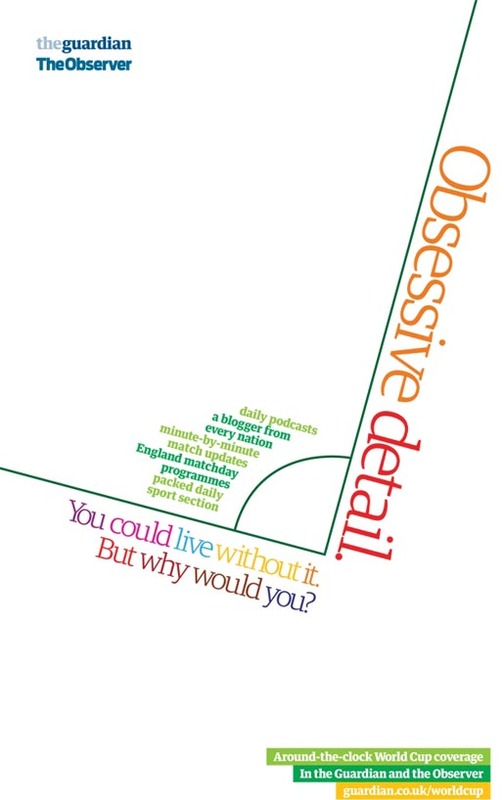 The voiceover was provided by Guardian Football Podcast presenter James Richardson.